It was already in the jar. Put down The Wishing Cup and look no further, your spirit guides through this episode of The Leftovers are here! Josh Wigler (@roundhoward) is away on a strange assignment* in Cairo, but Antonio Mazzaro (@acmazzaro) and AJ Mass (@ajmass) have unshackled themselves and are ready to trip the life fantastic through this week’s emotional events in Miracle. Forget the Miracle Math, there’s room for everyone on this journey through life, the universe, and everything. Nothing is off limits, including scissor tattoos, ghost busting, and drinking truly foul concoctions for self-improvement. This is The Leftovers after all. What is it about? What is it NOT about? 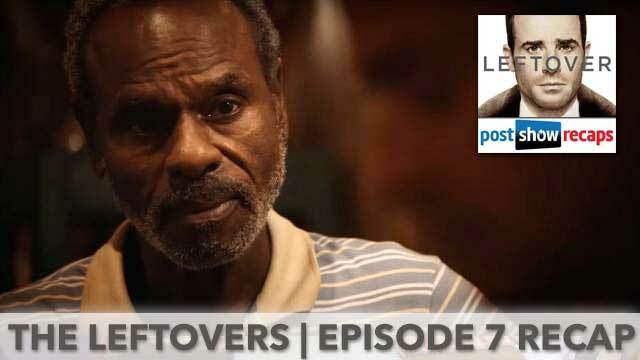 Antonio and AJ dig deep into those questions, including a discussion of how and why The Leftovers differs from everything else on television. We would love to hear YOUR takes on this Miracle madness, either in the comments below or by hitting us up through our feedback form. *Josh claimed he would be right back in like “five minutes”, so hopefully that means he will return next week.